Ron is a long-time fan of classic jazz in general, and Duke Ellington in particular. Duke Ellington is widely acclaimed as the greatest composer and orchestra leader in the history of jazz. In a career that spanned more than 50 years, his compositions, arrangements, and recordings helped propel American jazz to the status of an internationally celebrated art form. But the Duke would be the first to acknowledge that he didn’t accomplish all that by himself. A big part of the story is not just Ellington’s genius, but also the talents of his composing and arranging partner of 28 years, Billy Strayhorn. Strayhorn and Ellington first met in 1938, and their partnership lasted until Strayhorn’s death from cancer in 1967. During that long collaboration Strayhorn served the Ellington orchestra as arranger, lyricist, and pianist. But more than that, Billy, or “Strays” as the band called him, was a gifted composer in his own right. Dozens of jazz classics that are closely identified with Ellington and his orchestra, including the tune that became the Ellington theme song, “Take the A Train,” actually come from Strayhorn’s pen. In fact, Strayhorn and the Duke collaborated so closely in the composition and arrangement of the band’s material that most musicologists find it difficult to identify where one’s influence ends and the other’s begins. Billy Strayhorn was my right arm, my left arm, all the eyes in the back of my head, my brainwaves in his head, and his in mine. Because Ellington usually got credit in the public mind for the music that resulted from his partnership with Strayhorn, Billy’s own genius as a composer was not widely acknowledged during his lifetime. But since his death, appreciation for his contributions not only to the Ellington mystique, but to the world of jazz in general, has been growing. 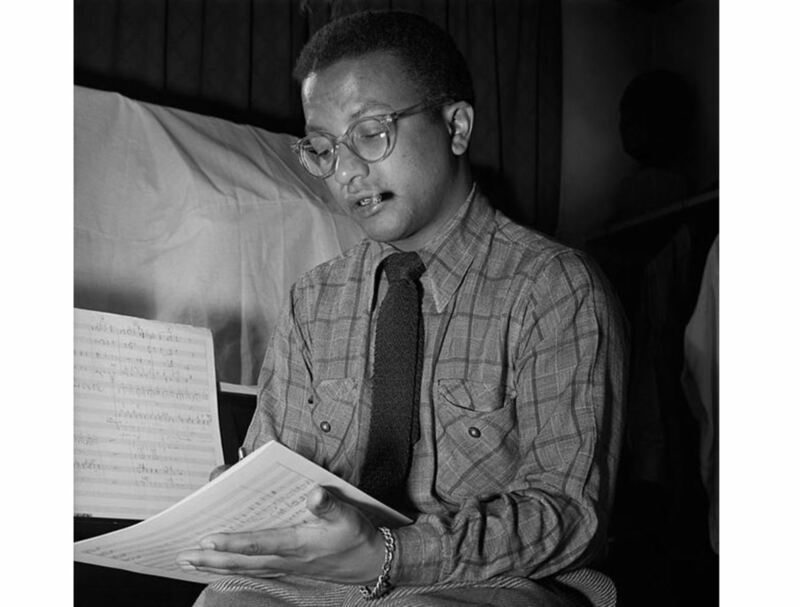 As a result of that ongoing rediscovery of his work, Strayhorn was inducted into the Songwriters Hall of Fame in 1984. Has Billy Strayhorn received due appreciation as a premier jazz composer? Yes - I think he's finally getting his due. No - I think his achievements are still underappreciated. No - To be honest, until reading this I had never heard of Billy Strayhorn. Although Billy Strayhorn was born in Dayton, Ohio, he grew up in Pittsburgh, Pennsylvania. During childhood visits to his mother's family in Hillsborough, North Carolina, Billy's grandmother, a church organist, taught him to play the piano. In Pittsburgh Strayhorn worked as a soda jerk and drugstore delivery man to get money to buy his own piano and, eventually, to pay for formal training. He was especially fascinated by the music of modern classical composers such as Stravinsky, Debussy, and Ravel. Even before he graduated high school, Strayhorn was already composing. When he made his drugstore deliveries, he would often play some of his own compositions for customers who had pianos in their homes. That gained him a great local reputation, and led some of his customers and friends to insist that his music needed to be heard by a wider audience. That dream finally came true when Duke Ellington came to town. Strayhorn had first seen Ellington perform in 1934, although the two did not meet at that time. Still, even then the Duke made a powerful impression on the younger musician. “Something inside me changed when I saw Ellington on stage, like I hadn’t been living until then,” Strayhorn would later say. So, the little boy sat down and started playing and he sang a couple lyrics and man, I was up on my feet. A few months later, Billy Strayhorn was living in Duke's home in the Sugar Hill section of Harlem, and writing music for the Ellington band. It was the start of a partnership that would last almost three decades, and produce some of the most important and memorable music in the history of jazz. The title of this article speaks of the 10 “best” songs of Billy Strayhorn. Of course, any such list is purely personal, and as such is decidedly debatable. So, in the interests of honesty and full disclosure, let’s call this “my” list of the 10 most important Strayhorn compositions. In each case, a video performance of the song is accompanied by background information concerning how Strayhorn came to compose it. If you’d like to skip directly to a favorite song, just click the link in the Table of Contents below. When Duke Ellington invited Billy Strayhorn to come to New York to join the band, he gave Billy directions on how to get to the Duke's home in the Sugarhill section of Harlem. Those directions legendarily began with the words, "Take the A train," which was at that time a new subway line that was the most direct route to Sugar Hill. As the story goes, the newly employed Strayhorn decided to show what he could do as a composer by building a song on those few words. "Take the A Train" would become the Ellington orchestra's greatest hit, and would be the band's theme song for as long as Ellington lived. But it almost never saw the light of day. Strayhorn had been an admirer of the arrangements of Fletcher Henderson, and composed "A Train" in that style. But in 1941, when the band desperately needed new material, Strayhorn was concerned that "A Train" would sound as if it were an imitation of a Henderson piece, and threw the song away. That's when Ellington's son Mercer came to the rescue. He retrieved the music out of the trash, the band immediately played it on the radio and released a recording, and the rest, as they say, is history. In the following video, pay special note to the solo of trumpeter Ray Nance. Nance's improvisation is so quintessentially "right" for the song that, contrary to jazz convention, it has often been copied note-for-note in later recordings. "Take the A Train" first became a hit as an instrumental. But lyrics were soon provided. Strayhorn himself wrote some, but the first lyrics committed to a recording were by Lee Gaines for the Delta Rhythm Boys. The lyric that was most often used by Ellington was written by singer Joya Sherrill. That's what's heard in the following clip from the 1942 movie, Reveille with Beverly. 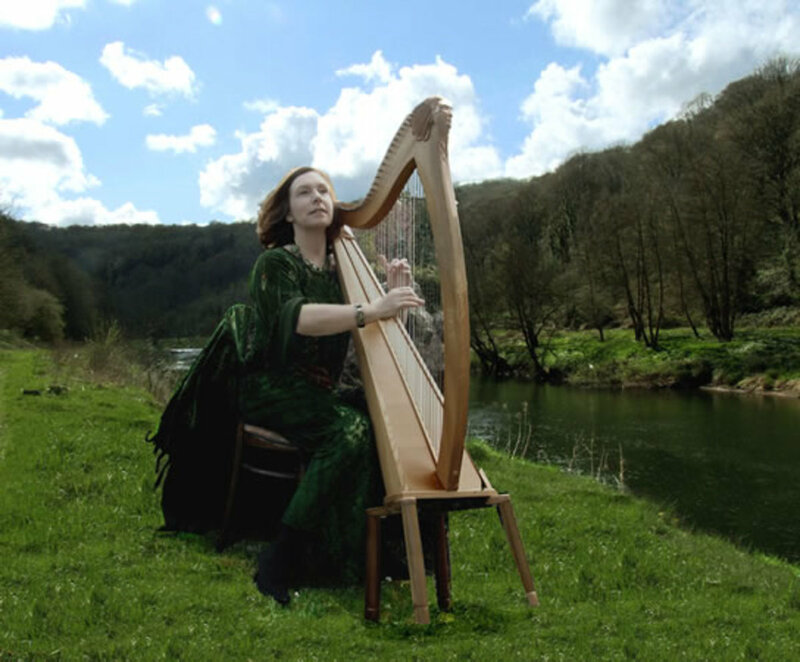 The singer is Betty Roche. “Lush Life” is a literally astounding piece of music. In terms of both its chord structure and its lyric, the song reaches a level of musical sophistication that few popular compositions have attained. Strayhorn seems to have written "Lush Life" mostly for himself, and for years only performed it privately. But in 1948 he (on piano) and Kay Davis performed it during one of the Duke Ellington orchestra's concerts at Carnegie Hall. 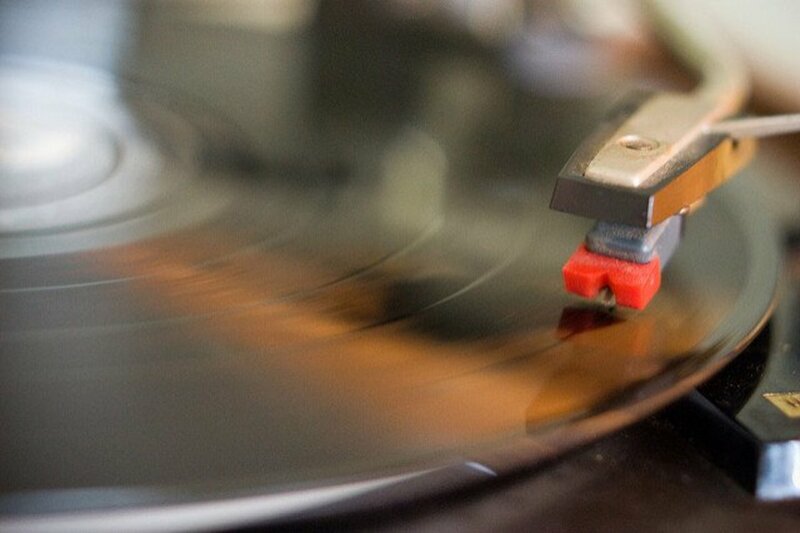 Then in 1949 the song got the break that put it into the jazz pantheon for good. Nat King Cole recorded his version (with an arrangement Strayhorn hated). Since then it has been recorded by some of the greatest luminaries of popular music including, most recently, Queen Latifah. In 1935 the musically precocious Strayhorn wrote a full musical review called Fantastic Rhythm for his high school. It included skits, dancing girls, a small band, and a number of Strayhorn’s own compositions. Although intended at first as only a high school production, Fantastic Rhythm was so successful that between 1936 and 1939 it played in black theatres throughout western Pennsylvania. Future world-famous performers, such as vocalist Billy Eckstine and pianist Erroll Garner, were featured in the show. 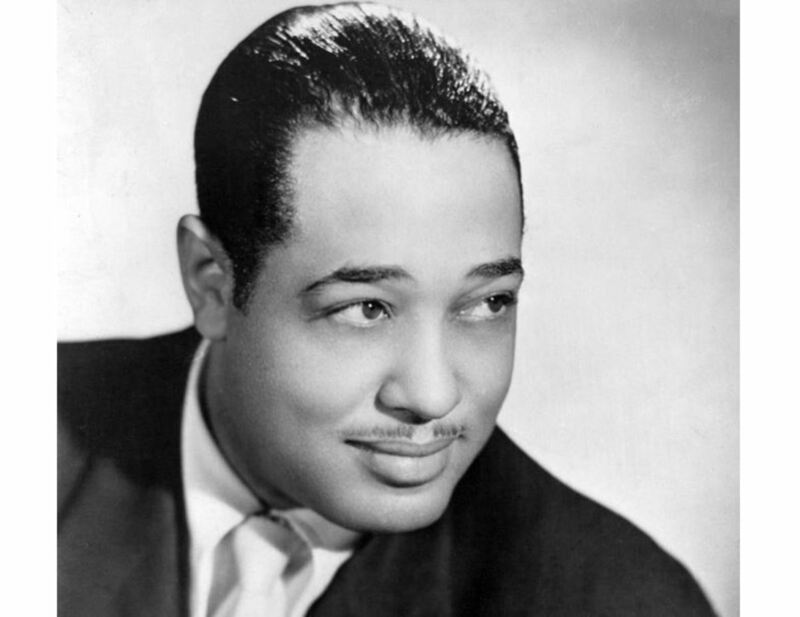 “Something To Live For” was one of the songs Billy wrote for Fantastic Rhythm, and is thought to be one of the compositions he played for Duke Ellington in that impromptu Stanley Theatre audition in 1938. The Duke really liked the song, and in March of 1939 it became the first of Strayhorn’s compositions to be recorded by the Ellington band. In 1965 Ella Fitzgerald, who called it her favorite song, put her own inimitable stamp on it. Another of the songs Billy Strayhorn originally wrote for Fantastic Rhythm was “My Little Brown Book.” The band first recorded it, with a vocal by Herb Jeffries, on June 26, 1942 at the RCA studios in Los Angeles. That’s the version presented here. In addition, it was recorded for a V-Disc (252 B) in August, 1944 with the vocal by Al Hibbler. But the most famous recording is probably the one made on September 26, 1962 for the album Duke Ellington & John Coltrane. In 1940 the American Society of Composers, Authors and Publishers (ASCAP) attempted to double the fees radio stations had to pay to broadcast the music of its members. The broadcasters resisted, and decided that starting on January 1, 1941 they wouldn’t put any music by ASCAP members on the air. For Duke Ellington, an ASCAP member since 1935, that lock-out of his compositions was a potential disaster. For a big band like Ellington’s, radio play was an essential means of exposing their music to the record-buying public. So, with the band appearing at the Casa Mañana in Los Angeles and broadcasting every night, Ellington desperately needed new material to put on the air that wouldn’t fall under the ASCAP ban. Strayhorn wrote “A Flower is a Lovesome Thing” to highlight the warm alto sax of Johnny Hodges. Although the Ellington band was playing the tune regularly by early 1941, both in live appearances and on the air, it was not until 1946 that it was first recorded by the Johnny Hodges All Stars. Strayhorn later added lyrics, and in 1965 the peerless Ella Fitzgerald recorded the vocal version presented here. The following performance of “Chelsea Bridge” was recorded by the Ellington band on December 2, 1941, and features solos by Ben Webster on tenor saxophone, Juan Tizol on valve trombone, and Strayhorn himself at the piano. Johnny Hodges was perhaps the premier alto saxophone player of his day. A mainstay of the Ellington band for nearly 40 years, Duke credited him with having "a tone so beautiful it sometimes brought tears to the eyes." Soon after joining the band in 1939, Strayhorn wrote "Passion Flower" especially for Johnny Hodges, who first put the song on record in 1941. This song was so closely identified with Hodges that it became a signature tune for him. The performance featured below was recorded for television in Copenhagen, Denmark on January 23, 1967. "Raincheck" is our final example of the songs Strayhorn wrote in 1941 to provide the band with broadcastable material during the ASCAP radio blackout. While many of Strayhorn's best known songs are ballads, "Raincheck" has an infectious, up-tempo, driving rhythm. According to Strayhorn, the piece received its name simply because it was a rainy day in Los Angeles when he wrote it. Recorded in December of 1941, "Raincheck" features Juan Tizol on valve trombone, Ben Webster on tenor sax, Ray Nance on trumpet, and Billy Strayhorn at the piano. In 1967 Billy Strayhorn was working on a piece called “Blue Cloud,” which was intended for use in the Ellington orchestra's upcoming concert at Carnegie Hall. But then Strayhorn was hospitalized for treatment of esophageal cancer. While in the hospital he continued to develop the piece, now renamed “Blood Count,” and was finally able to deliver the completed manuscript to Ellington. It was the last composition Billy Strayhorn ever wrote. He died of cancer on May 31, 1967. It took some time for Ellington to begin to recover from his grief, but he finally found a more productive way to express his sorrow. He decided to record a tribute album consisting entirely of his favorite Strayhorn compositions. That album, And His Mother Called Him Bill, which was my own introduction to the music of Billy Strayhorn, featured the last two songs in our list, “Blood Count” and “Lotus Blossom.” It is now regarded as one of the finest achievements of Ellington’s long career. As he had done so many times before, Strayhorn wrote “Blood Count” with alto saxophonist Johnny Hodges in mind. Although the piece has since been recorded by many fine musicians, including Stan Getz and Joe Henderson, the haunting Hodges rendition is considered by many to be definitive. After recording it for And His Mother Called Him Bill, Duke Ellington never played "Blood Count" again. Duke Ellington said that "Lotus Blossom" was the song Billy Strayhorn most liked to hear him play. So it's very natural that he wanted to include it in his album of tribute to Strayhorn, And His Mother Called Him Bill. 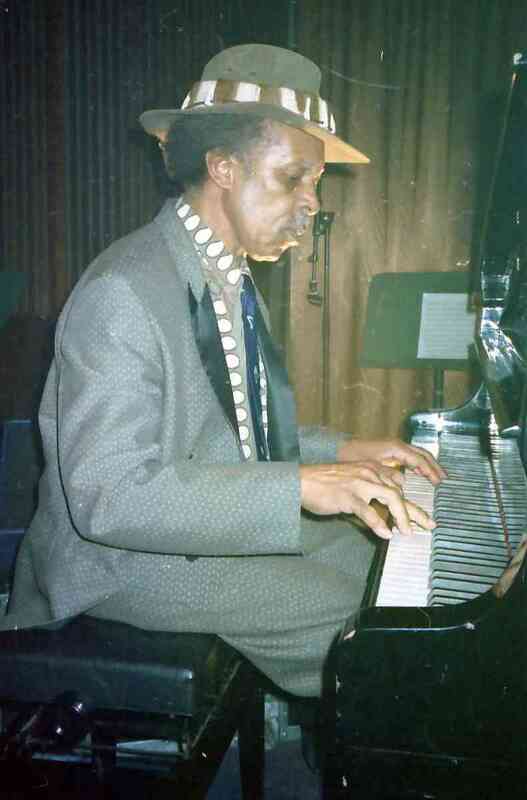 Ellington's personal and sensitive solo rendering of "Lotus Blossom" is generally considered to be the finest ever put on record. But there's a second Ellington rendition that, to my mind, is even more poignant. After the recording session for And His Mother Called Him Bill was concluded, the Duke sat back down at the piano and began playing “Lotus Blossom” one final time, apparently just for himself. 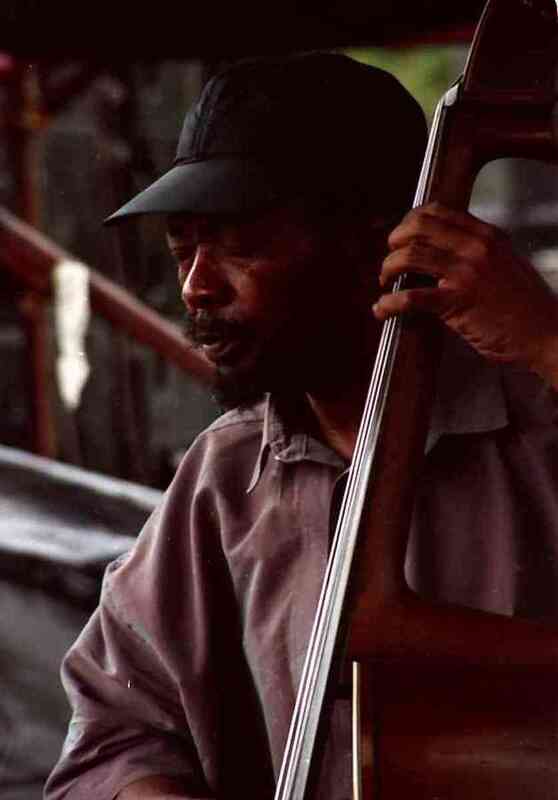 The band was packing up their instruments and leaving the studio, but Harry Carney and Aaron Bell heard what Ellington was doing and seemed to share his emotion. So Carney brought his baritone sax back out, and Bell took up his bass again, and the two of them joined in with the Duke in a final tribute to their friend, Strays. Fortunately for all of us, the recording tape was still running, and we are blessed to have this beautiful if heart-wrenching performance of one of Billy Strayhorn's favorite pieces. Thanks, Lawrence. I'm glad I could introduce you to this amazing musician. I never knew about Billie Strayhorn, so this was an enlightening read. Thanks, Dora. Your comment reminds me that both Ellington and Strayhorn are great examples of commitment to fulfilling their gifts in the face of some significant obstacles they had to overcome. Apart from the songs and the historical facts you shared about these two artists, you also encourage us to keep doing whatever we are gifted to do. They never know how far-reaching would be the impact of their work. Thanks for the inspiration and enjoyment. Thanks, Katharine. I'm glad you found the info interesting. What's a bit frustrating for me is that there's so much more that I just didn't have room to include in this article. The Strayhorn/Ellington partnership is truly a fascinating story, and I hope to write more about it. Wow, what a lot of great info on Strayhorn and the Duke! I'm a jazz lover, so I knew of Strayhorn, of course, but certainly didn't know all this about him and about the individual songs. 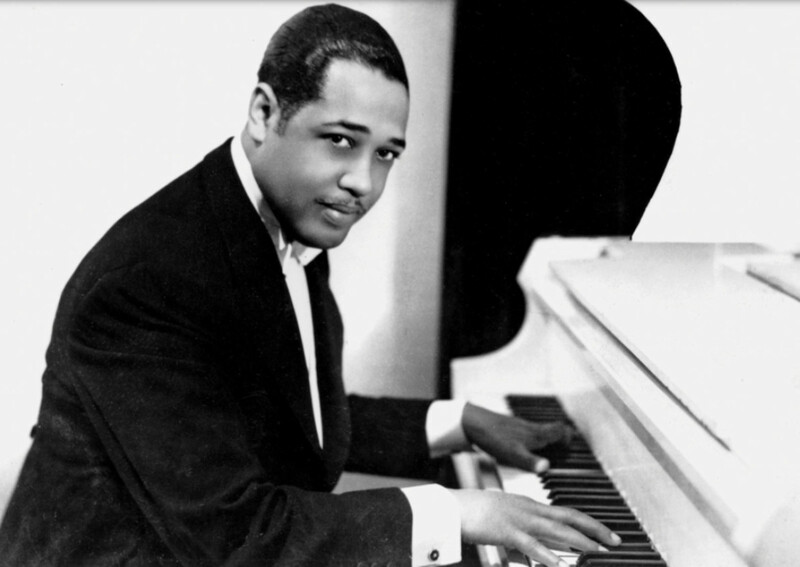 What a great story about how he met Duke Ellington! 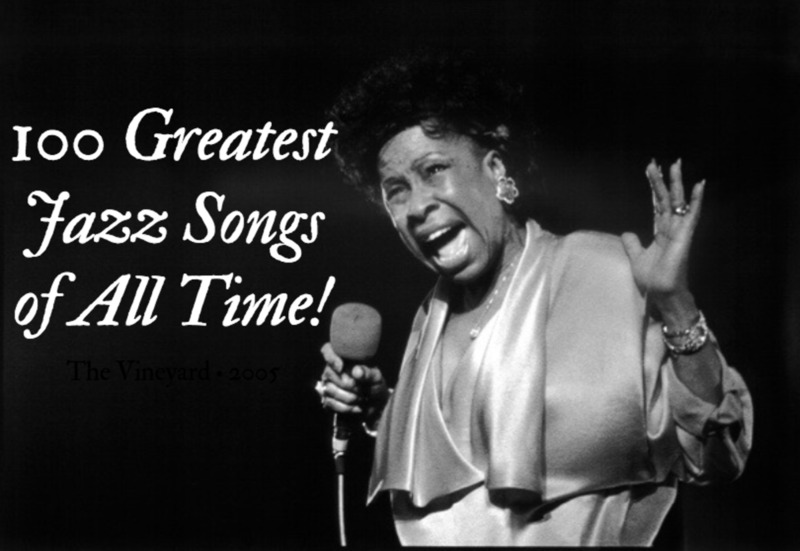 Jazz greats, to be sure, left us a rich and beautiful legacy for the ages to enjoy. Still listening as I type this! Thanks for a terrific article! Thanks again, Miki. Sounds like your parents gave you a great musical legacy. OMG it was fascinating. He and his band were fantastic, always dressed to the hilt. The music was smooth and you were on a journey. I have many of the old recordings still. I've kept them and moved several times with those being the last packed and the first taken personally and racked. I got to see Basie also. They were the total opposite in sound, but yet each stood out on their own. I was fortunate that my parents knew this was history in the making. I am always happy to see that others know the greatness of the Ellington/Strayhorn Legacy here in the states as overseas, they are up there with all the great composers of the eras. Your post and analysis really completed my desire to see the torch being passed on. Keep it lit brightly. Thanks, Miki. You're right that there are many who believe Ellington to be the most important American composer of the 20th century in any musical genre. I never heard the Ellington orchestra in person. That must have been a great experience. Thank you for this very encompassing article about Ellington/Strayhorn and their collaboration. I was fortunate as a young child to be able to not only hear them but attend high school with Duke Ellington's granddaughter. There is an Ellington Hall in St. Petersburg, Russia where Ellington is considered a "20th Century Composer" as to a jazz composer. His music is studied throughout Europe on a par with Rachmaninoff, Stravinsky, Scriabin, Prokofiev, et al. Thanks, Jo. I learned a lot about Strayhorn in writing it, and came to appreciate his music even more. Great information, on. I learned a lot. I had heard of Billy Strayhorn but knew little about him.